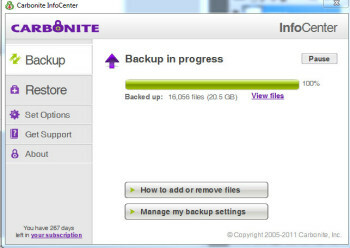 The backup company I use is relatively fairly priced and they offer a decent amount of backup space. I'm satisfied for now, but every time the renewal comes around I wonder to myself: “should I change provider?” I do with almost every other aspect of my life. Insurance of various types, credit cards, bank account deals, hardware purchases – who ever is offering the best price for the best package at the right time gets my service. However, with remote backup there's a problem with this mantra. None of them – as far as I know, and if any do, please tell me – allow you to backup your data between companies. What I mean is, if I have X Gigabytes of data backed up with one firm but wish to change to a second, I cannot transfer that already backed up data. Read more at XS Reviews.